Ace Glass and Aluminum, Inc. The Smart Houses Solution, Inc. Comment: insurance company said garage roofing needed repairs. Trying to decide if we want to repair the garage or just exclude from insurance. Comment: Looking to build a gazebo over my existing outdoor patio. Chicago Shed & Enclosure Builders are rated 4.59 out of 5 based on 627 reviews of 29 pros. 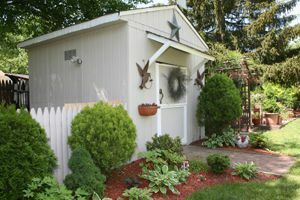 Not Looking for Sheds & Enclosures Contractors in Chicago, IL?